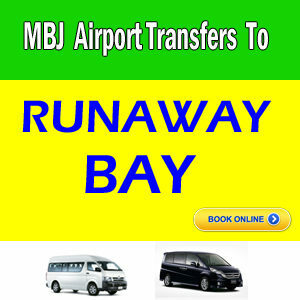 We provide private airport transfer to Hotels in Runaway Bay, comfort is most important. 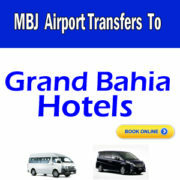 Jamaica airport transfers in Montego Bay offers service to and from Runaway Bay Jamaica. Our drivers English speaking driver will wait at the airport, no extra charge for waiting time. 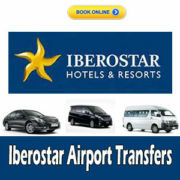 Book your one way or round trip transfers today and get the best rates available. For Departure Reservations, please call us no later than 24 hours prior to your flight. Your advance reservation will ensure your timely departure to the Airport. For large groups give us a call or email us for Special Rates. Free meet and greet provided by our airport representatives. With our private transfers, there are no unwanted stops or delay. One way Or Round trip. 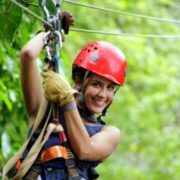 You’ve Discover so now travel to Anywhere in Jamaica in comfort and Safely.